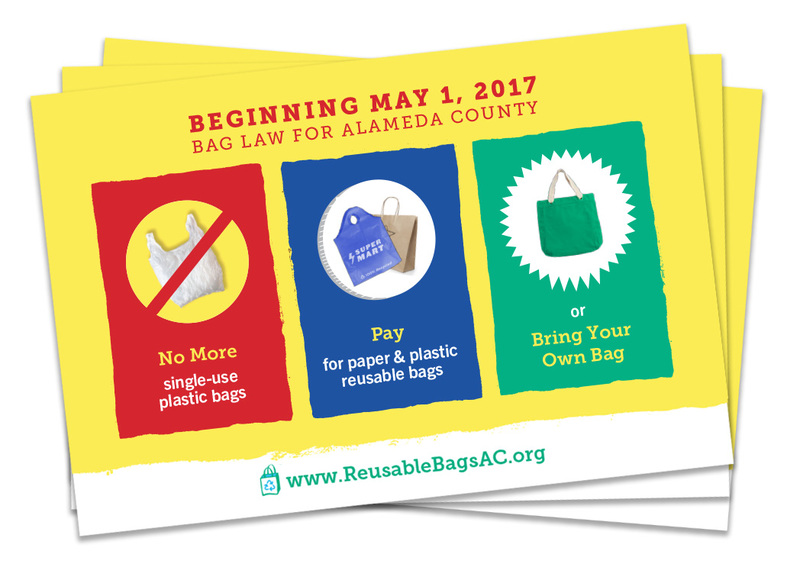 Since 2013, grocery stores and certain other food retailers in Alameda County have not been allowed to provide single-use plastic carryout bags at checkout, and the results have been great for our local environment! Plastic bags are one of the most common litter items found in our waterways, and plastic pollution is a growing threat to oceans and marine life. 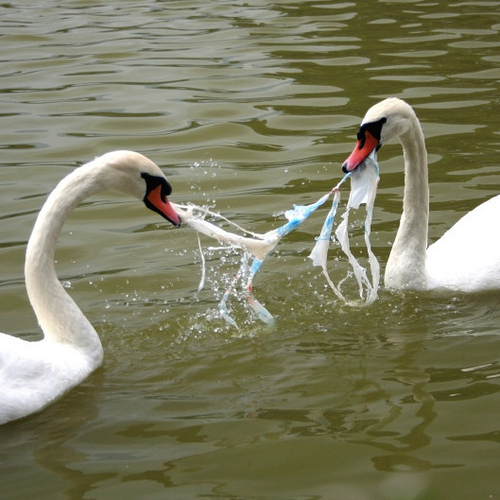 Plastic bags take hundreds of years to break down or decompose, causing a cumulative litter problem. Shopping with reusable bags helps reduce litter and waste, protects creeks and the bay, and conserves natural resources. Is your local store or eating establishment following the law? If you are aware of a retail store or eating establishment distributing single-use carryout bags, not charging for paper or reusable bags, and/or not itemizing bag charges on your receipt, we want to hear from you! We are relying on consumers to help us reach out to shops and restaurants not complying with the new law. Visit the Downloads page for outreach materials related to the recent expansion. You may download and print Overview Flyers for Restaurants and Retails stores, as well as postcards you can print for near the point-of-sale. If you would like us to mail you postcards, please email us at bags@stopwaste.org with the number you'd like and in which language(s) (English, Chinese, Spanish).